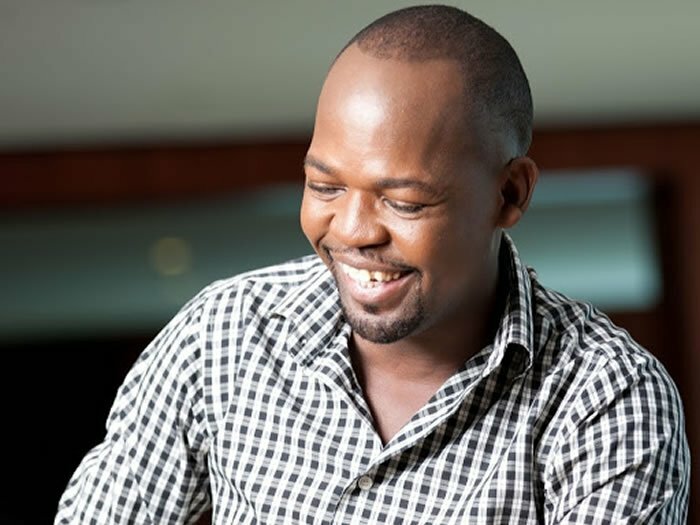 Hours after Alex Mwakideu resigned at Radio Maisha, the presenter took to social media to blast the station after he noticed they’re still using his image to promote the morning show he used to host. On Instagram, he attacked the station asking them to leave his photo out of their campaign because he’s not part of the team any more. “This is wrong. Jana tu we were “celebrating” the 8 years of my career at the Standard Group as a Radio Presenter of the Morning Show. Today even after resigning and being given my acceptance letter in good faith munaniweka hapa! 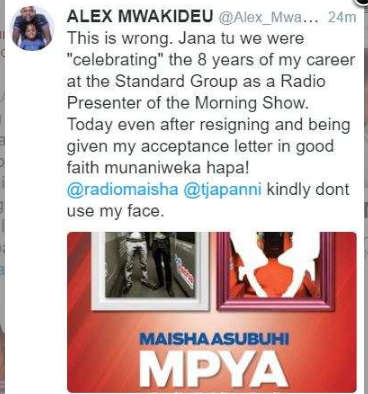 @radiomaisha @tjapanni kindly dont use my face,” read Alex Mwakideu’s tweet. The radio presenter who has been working with the Standard Media Group for eight years announced his departure on social media. “It’s been 8 awesome years and I will miss Radio Maisha. I will always remember ‘kuanzia’ the first day when we launched this radio station during my first show. It’s been a good ride! Let me say a huge ahsante to the entire team of Radio Maisha and the Standard Media Group,” the message read.